The official release art of Ninfia shows that Ninfia Sparkles. This could allude to all art being being actually its shiny form just to troll people. They would have made it more obscure of a color than whats on the page if it was shiny. I do like the idea of it having a different look depending on gender. I really like that idea! Up until now, male and female versions have pretty much not looked different unless they were considered entirely different Pokemon altogether, e.g., Nidoran's evolutions. I think maybe Nidoran may have been the exception (in that the male and female forms had the same name), but the male and female forms were still considered separate Pokemon, since they had different Pokedex entries. It would be awesome, but having to go through and add something to each Pokemon would not be my ideal of a good day on the job. I don't think it would have to be all of them, really. Maybe just some of them? Yes that could work but if it is absolutely loved then the demand will skyrocket that the rest are changed as well. And if it is a flop everyone will just fanboy/girl previous generations and say this and that was better and so on... Oh wait that already happens. It unsheathes itself when going into battle. Still relevant, actually a problem becoming quite prevalent. They're out of ideas, let's face it. While I enjoyed Black version, given the way they've handled legendaries in genereations 4 and 5 I'm not sure I'm interested enough to pay for a 3DS for this. Still picking this game up. I think it's one of the greatest ironies of video gaming in general that people will decry that Call of Duty and Madden never changed and are cookie cutter adding a few neat new features or what have you. It's fine now! Why? Because I am here! Just gonna say that X and Y, I like them. I cannot wait until October and I have reserved a copy of each. I think they will be amazing. I plan to give Gen 6 a shot, as well, since it looks like they're continuing the recent trend of actually trying new things with the series. And does it KILL other pokemon? I'd it's got an edge, after all. What I'd like to see in a Pokemon game is Evolution based on regions you are in. Like for instance, the Evolution that may be happening for Farfetched... Perhaps it's never evolved in ANY of the other regions because of some strange climatic difference in those areas. Wherever this new pokemon game will be. I must admit, the moment I couldn't return to Kanto - I lost all interest in pokemon games. Also, the cost of the handhelds you played them on became ridiculous. I'm not going to spend over 100 bucks on ONE handheld, to play ONE or two games. Also the Eevelution debate. That doesn't look like a Normal type to me. I'd ex out a bug type, to be honest because it looks to mammalian. I'm actually going to lean towards Dragon type, simply because the way it looks leaves a very 'milotic' like view/taste in my mouth. A Dragon Eeevelution would be awesome. Actually, it's been officially confirmed that Sylveon is of the new Fairy type that's being added to the game. ^^; It's going to be super-effective against Dragon types, interestingly enough, though information hasn't been released yet on how it interacts with other types in the game. Someone mentioned it's name as something else. If I had seen the name Sylveon I would have instantly put it in the 'fae' family. The original Japanese name for it is Nymphia, though it was initially translated as Ninfia, or something similar to that. Interestingly, much like how Magnemite and its evolutionary line got a secondary Steel typing once that type was introduced, it looks like there are a few old Pokemon getting secondary Fairy typings, as well. Thus far, we've got confirmation for Gardevoir, Jigglypuff, and Marill, and I'd honestly be pretty surprised if Clefairy didn't wind up with a secondary Fairy typing, as well. 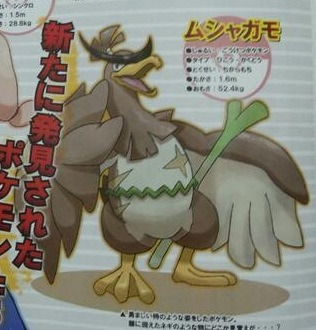 Also, Flabébé and Peropuff are going to be new Fairy-type Pokemon. Do people know about www.pokemonxy.com ? Its the official site - all the new pokemon and trailers and stuff. Far better place to get your information, because it includes sources from overseas before the information is "officially" released.